Plum pocket disease affects all types of plums grown in the U.S., resulting in unsightly malformations and crop loss. Caused by the fungus Taphrina pruni, the disease brings about enlarged and deformed fruit and distorted leaves. That said, information on treating pocket disease on plum trees is crucial. 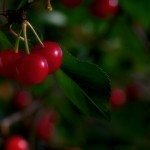 Read on to learn more so you can keep your plum trees healthy. Developing spores give the fruit a gray, velvety appearance. Eventually, the interior of the fruit becomes spongy, and the fruit becomes hollow, withers and falls from the tree. Leaves and shoots are affected as well. Although less common, new shoots and leaves are sometimes affected and become thick, twisted and curled. If left untreated, plum pocket disease may cause the loss of as much as 50 percent of the fruit on a tree. 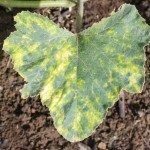 Once established, the disease comes back every year. 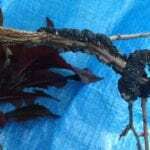 Fungal plum tree diseases, such as plum pocket, are treated with fungicide sprays. Choose a product labeled for use against plum pocket and follow the label instructions carefully. The best time to spray most fungicides is early spring just before the buds begin to swell, unless the fungicide instructions direct otherwise. Many fungicides are highly toxic and should be used with care. Never spray on windy days when the fungicide may be blown away from the target area. Store the product in its original container and out of the reach of children. The best way to prevent the plum pocket disease is to plant disease-resistant cultivars. Most improved cultivars are resistant to the disease. Resistant trees may become infected, but the fungus doesn’t form spores, so the disease doesn’t spread. Wild plums are especially susceptible to the disease. Remove any wild plum trees from the area to protect your cultivated crop. If your tree was infected with plum pocket disease in the past, use a fungicide labeled as safe for plum trees as a preventative in spring.